The lush texture will have you skipping the couch and sitting on the floor. Product Description Nod to Neutrality. Liven up your home with the bold Plush Chamois area rug. 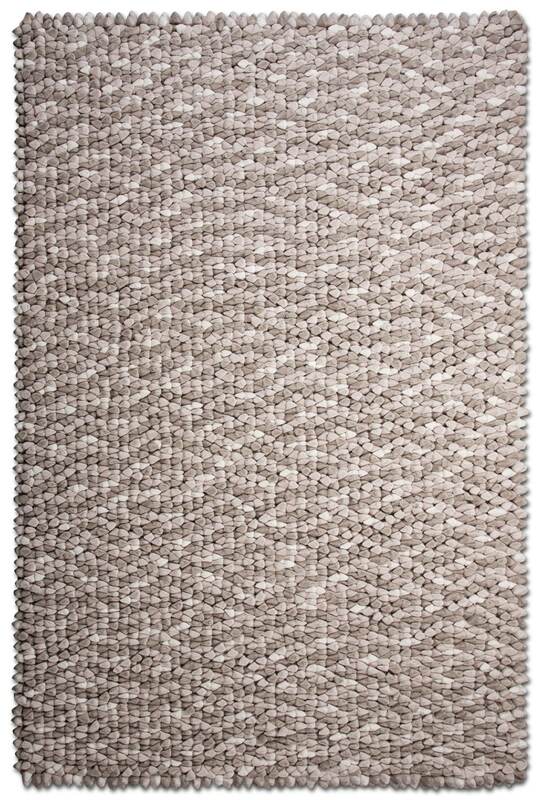 Oh-so-soft to the touch and easy on the eyes, this rug features beige and cream, individually hand-sewn pockets stuffed with lush filling that caresses your feet with each step. Felt backing with rubber anti-slip dots prevents the rug from sliding. Unique Features: Adorned with individually hand-sewn pockets. Soft filling is inserted to enhance the lush feel. Featuring a contemporary blend of beige and cream colors. Construction: Hand-sewn polyester pieces with poly filling give your rug a one-of-a-kind look. Felt backing with rubber anti-slip dots keeps the rug from shifting.